National flag carrier Turkish Airlines' first flight from Istanbul Airport to Azerbaijan's capital Baku departed on Thursday. The TK 1132 scheduled flight took off at 9.30 a.m. local time (0630GMT) with 121 passengers on board, and is set to land at Baku's Heydar Aliyev International Airport. Daily service to Baku from the massive new airport, whose first phase opened on Oct. 29, will be offered through Dec. 31. 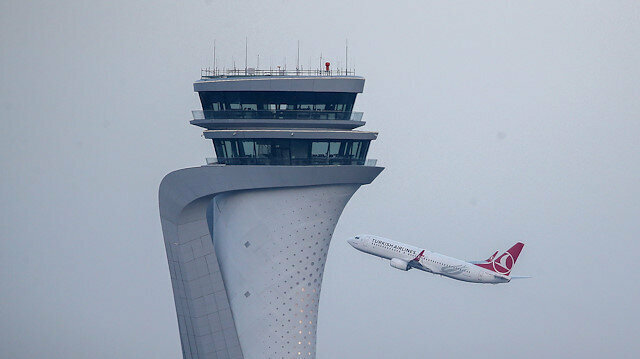 The new service brings the number of weekly flights from Istanbul to Baku to 38 -- 28 from Ataturk Airport, seven from Istanbul Airport, and three from Sabiha Gokcen Airport. In the first 10 months of this year, Turkish Airlines carried 337,000 air passengers to Baku with a 77 percent seat occupancy rate.